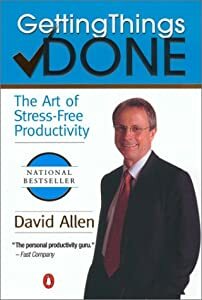 David Allen, author of "Getting Things Done", or GTD, is one of the best known "productivity gurus" known today. GTD itself is a well-thought-out system that deals with every aspect of work, from optimizing the process to optimizing output, this got it all. So how can GTD help you get rich? Let's analyze some aspects of GTD. Please note that this is NOT an attempt to teach GTD, but rather how GTD can be applied here, and everywhere. Depending on your responsibilities, the mix will be different. If you're an employee, you'll have mostly defined work. If you have more responsibility, like supervisor or manager, you'll do more defining work for self and others. And this "work" is anything that needs to be "worked on", not just "job" work, but work in general. To buy wife flowers is work. To get car's oil changed is work. To pick up daughter after sports is still work. The problem with the three types of work is that the mind tends to AVOID "defining work". We often consider that sort of time as "wasteful" "not doing something", even though it's actually often the MOST productive time possible, but we'll get to that later. Of the remaining two, we TELL ourselves that we prefer planned work, which is why we plan everything, from dinner parties to weekly scheduled meetings. However, "unplanned work" usually takes over and planned stuff got shove aside. Unplanned work is often "urgent" and it gets the adrenaline going. However, if they only do unplanned work, their overall productivity will be lower, as they don't spend time defining work, or doing defined work. I call this "firefighting". People who do this jump from one fire to the other, leaving no time for anything else. They would appear very busy, as they constantly jump from one thing to another, but by neglecting the other two types of work, they are actually much LESS productive as they appear to be. I have a confession to make: my dad is one such person. He does no long term planning at all, and very little time defining work. The only thing he plans would be the various jobs which he keeps in a calendar. Everything else is ad hoc (i.e. in his head, to be decided when the problem comes up). As the general manager of a company, he should be in an office, deciding what is important for daily operations, and delegating actions to various employees, and only occasionally venture outside to the workers. Instead, he's chosen to keep everything in his head, and only delegate when he thinks he's overwhelmed or doing something. As a result, he deals with unplanned work 95% of the time. He's almost always on the phone (the problem of NOT having a secretary, and giving away his own phone number too often), answering one query after another (define jobs as they come up). In fact, he uses the phone so much, he doesn't even think about how ridiculous some of his delegated tasks are. One such example: he would call me to call someone else and tell that someone else something. Yes, that really is as stupid as it sounds. Why couldn't he just called that person directly? That's the result of doing way too much unplanned work; He can no longer define work properly. If he had actually defined the work, (i.e. created the action item, like "tell Mr. A about topic X"), he'd actually have realized that the task can be those 2-minute-do-it-myself-now tasks. Instead, he's doing something, then he somehow realized he hasn't called Mr. A back yet about topic X (the reason doesn't matter), but he's can't switch gears (may be in a meeting), so instead, he delegate "ad hoc" without thinking about the real priority of the task, by ordering me to call Mr. A about topic X. That's assuming I actually KNOW about topic X, and I know who Mr. A is. Or as I read somewhere else (I admit, I forgot where) "If you're are fighting fires all the time, you're NOT doing your job." Think of firefighting for a moment. While certainly it would be fun fighting fires, it's actually better to have PREVENTED fires to start in the first place, wouldn't you agree? After all, even a small fire does a bit of damage, and if you manage to miss one, even for just a short while, it can get serious really quick. As Rich Dad (tm) said, "if you can't leave your post at a business you started, what you have is a job, not a business." Why do people prefer to do things ad hoc (i.e. no plan?) ? Two reasons: 1) our mind tends to IGNORE jobs with incomplete requirements, and 2) we often need our job as validation of our self-worth. People's conscious and subconscious mind are processing things all the time. And the mind knows if something's not defined completely, and will automatically skip over it as it can't be done without even MORE work. For example, what's the difference between these two tasks? The first task is incomplete. There are some missing pieces, unless you're the kind of guy that actually changes your own car's oil. Even then you have to drive down to an auto parts store and buy oil filter, filter wrench (unless you already have one), plus oil bucket and a small ramp or back. It's a full project. For most of us, we go to a quick lube place and let someone else do it. Your mind upon reading this task, automatically ignores it because it can't do anything about the task without more information. The second task is complete, can be done by someone else, or done by you in 2 minutes, with no further information needed. Another reason why people actually *do* unplanned work is that they need to feel important. The job is the source of their ego. If it's the company they started, then hubris/ego becomes a big part of it. The more "problems" they solve, the better they feel about their own abilities. Remember, PREVENTING problems doesn't look as good as SOLVING problems. Some "bad" firefighters actually SET the fires so they can fight it, and thus look good. I am not saying that a business owner would actually sabotage his or her own business, but it may be an subconscious decision. Or put it another way, it justifies the founder's continued involvement. The founder does not realize that the ideal business runs itself, minimal supervision needed. Their entire self-worth is dependent upon the job, not the business. It could also be that the business has some fundamental problems that requires the continued hands-on treatment. Instead of solving the fundamental problem, the founder instead prefers to deal with the symptoms, partly due to cost of the fundamental fix, partly because s/he doesn't know how to fix it, and partly due to emotion (both ego, and fear). All are dangerous. The point is: if your business system is good enough, 95% of all work should be PLANNED, and the managers / supervisors will be doing mostly DEFINING / PLANNING work for the employees, in other words, the other 4.9% of the stuff. Unplanned work should the rare exception, the remaining 0.1%, not the rule. Think about it: What kind of problems a McDonald's restaurant would run into that can't be handled by their "system"? Very little, as the existing company policies and guidelines take care of almost everything, from how long to cook each side of the meat patty to what to do in case of an armed robbery. I mean, a branch can be run by kids! In one or two cases where the training doesn't cover, problems are exposed. Any one remember the crazy case where the supervisor was told by some pranksters pretending to be police, over the phone, to do a strip search on an employee? Or the case where the driver with no arms (and drivers with her feet, perfectly legal), handed over the money with her foot, and freaked out one of the drive-thru employees? Both should be handled by on-duty manager, who then must make the proper decision then and there. As an employee, you're often told to be more "pro-active". What they really meant is instead of waiting for your supervisor or manager to define the work, you should define the work yourself. That shows that 1) you have skill to spot the problem 2) you have brains to SOLVE the problem and create the right work, and 3) you have the welfare of the company in mind. In other words, you have "initiative", and don't need to be told what to do next. It's also sometimes called "low-maintainence", as supervisors don't have to constantly "ride" you to keep you productive. Thus, to solve this problem of skipping over tasks that must be done, you must define it clearly, so that it is VERY easy to do, you can't be confused about it, and even if you delegate it to someone else they can immediately pick it up and do it without further input. And second, you must realize in your heart that the business is MORE than your ego, even if you are the owner and founder. Unplanned work is fine, but never actually DEFINE work will only burn you out in the long run. The rest of GTD explains how to process individual action items at the "ground level" to ensure maximum efficiency, and that is not relevent to the discussion here. The point is, having goals and perspectives are important, but having the RIGHT goals is even more important, and most people neglect the goal of "defining work".